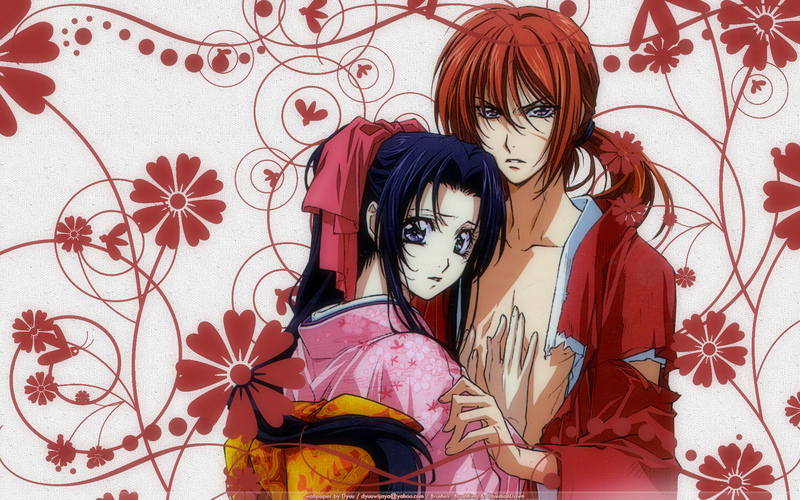 I watched Rurouni Kenshin again these days from my video, n fell like to make a wallpaper of it. 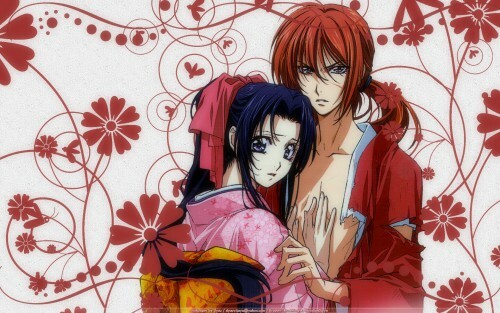 I'm so happy to see a Rurouni Kenshin wallpaper! And the picture you used is so gorgeous! Thanks for sharing this! Cute couple and thanks so much for making this wallpaper. Its awesome! clap clap i love this pic. tyvm! By Vector do you mean that you cut out the scan? Because that's not vectoring... in fact you didn't even clean the scan. If you had cleaned up the imperfections on the scan (most noticeable are the dark spots on their skin) it could have been a pretty nice wall. Quote by ManiacBy Vector do you mean that you cut out the scan? Because that's not vectoring... in fact you didn't even clean the scan. If you had cleaned up the imperfections on the scan (most noticeable are the dark spots on their skin) it could have been a pretty nice wall. Ah, you right. That's not vector (actually I know about the real meaning of Vector just yesterday. After I ask my friend [19 May 2010]. Heheh ... ). Thanks for telling me. I'll learn more. Beautiful couple! Thanks for sharring! woowww! thank you for sharing this picture! Beautiful wallpaper. Thank you for sharing. I love this series. WHOA! Waaaiiiit-wait-wait, is this by the same studio that does the Trinity Blood anime, because I might just soil myself if it is! This is indescribably gorgeous! Thank you very much!